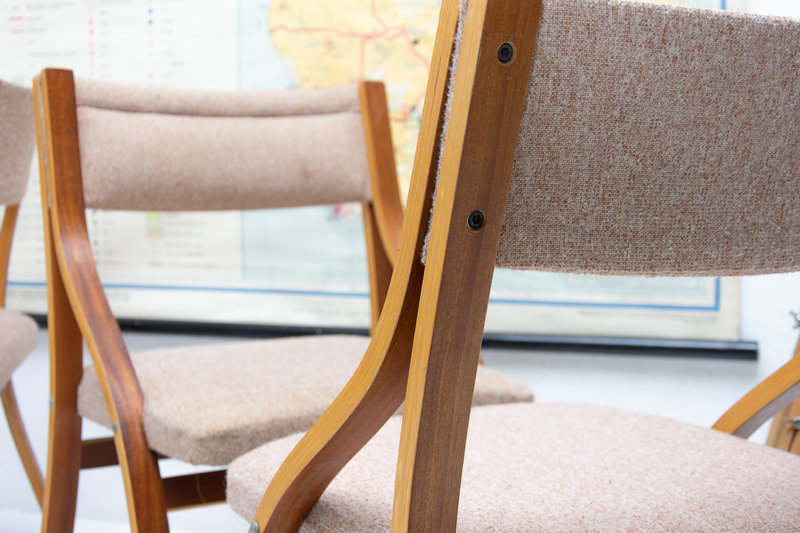 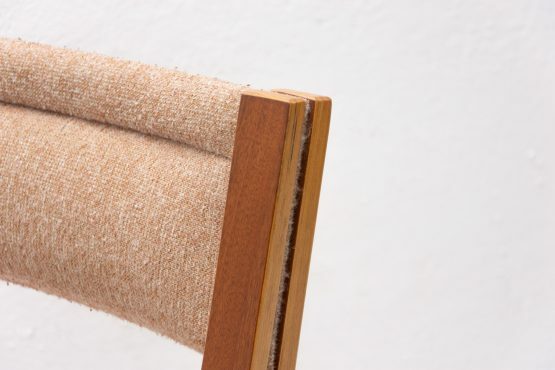 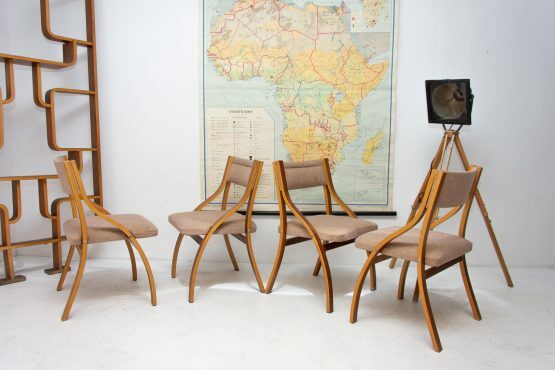 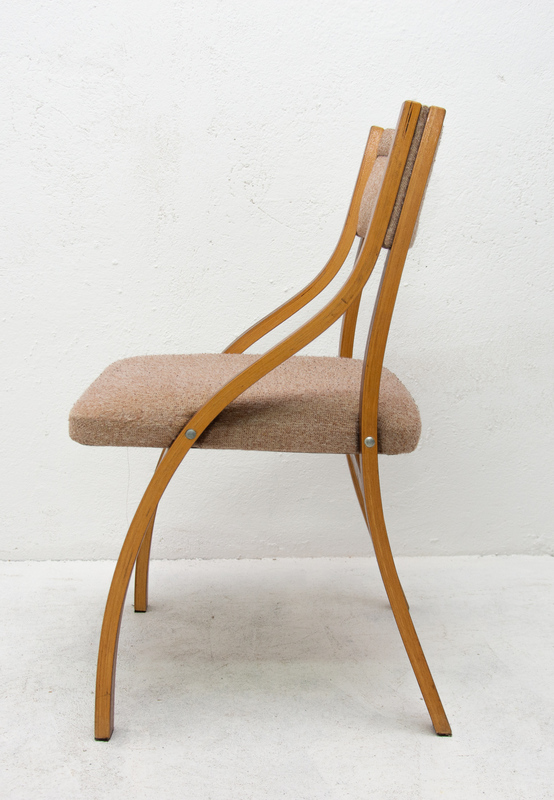 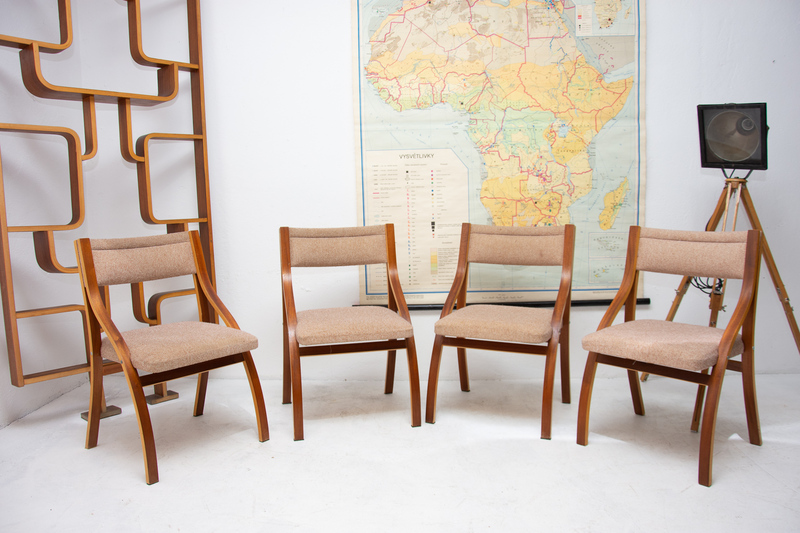 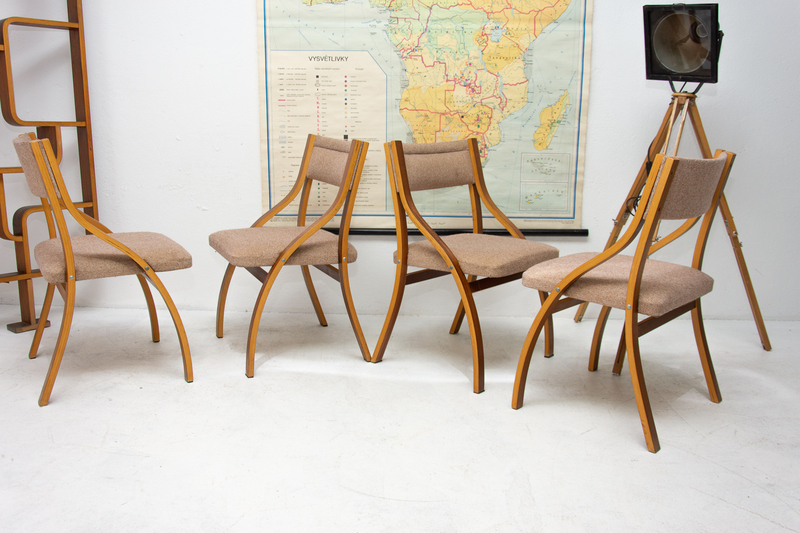 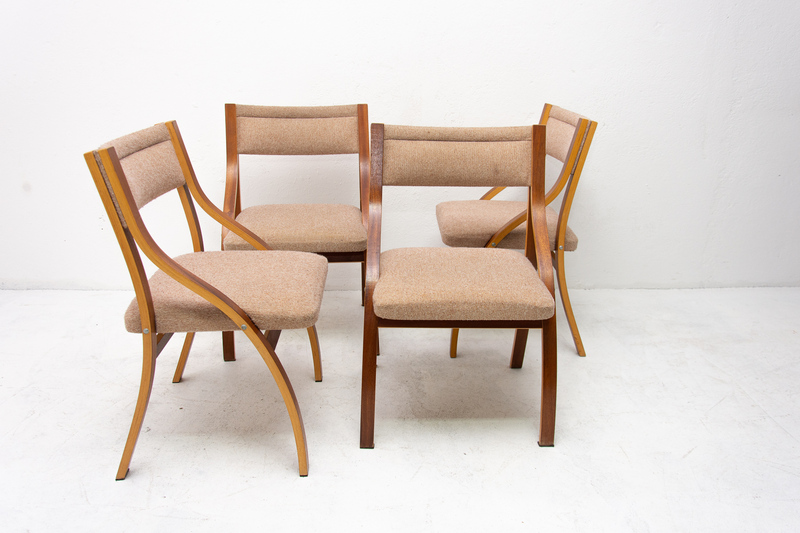 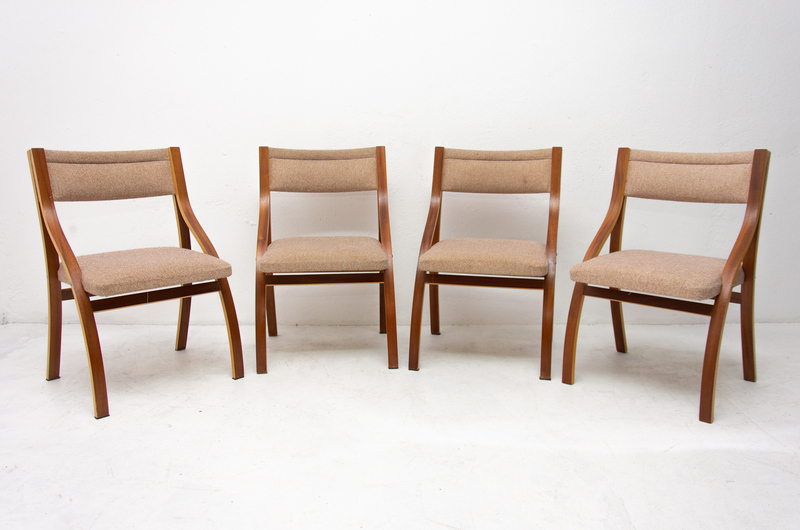 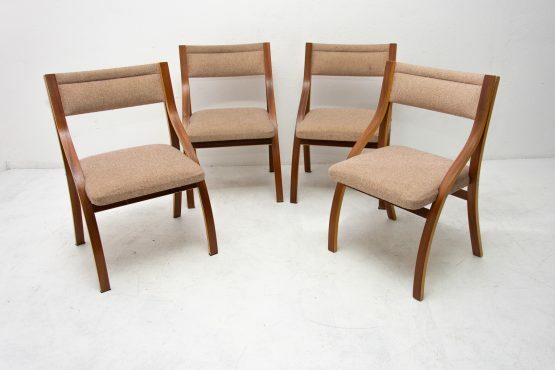 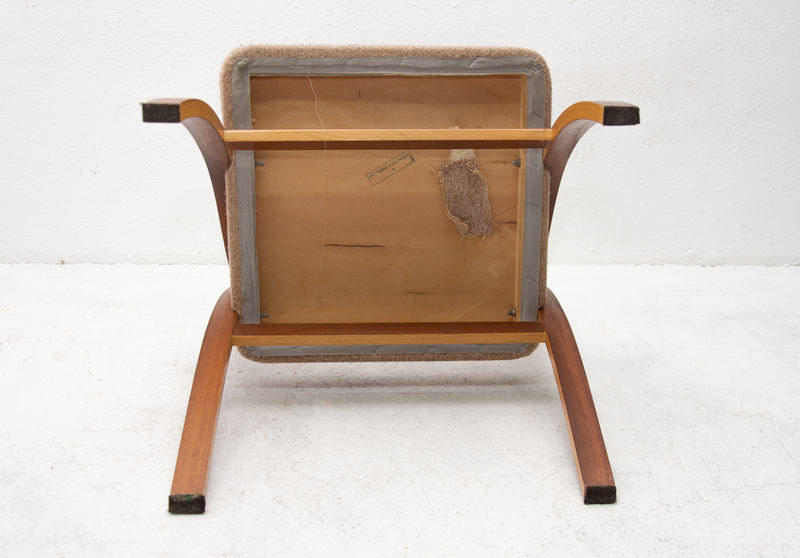 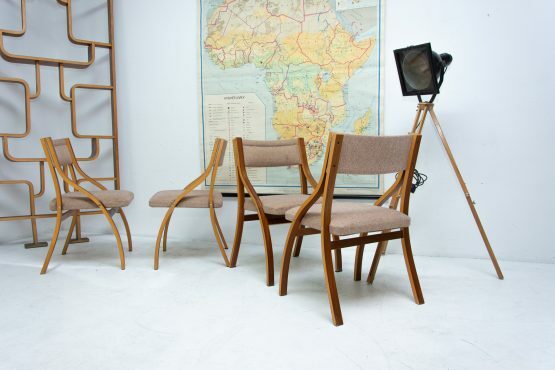 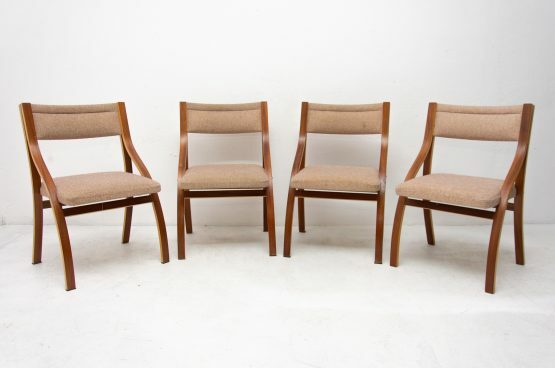 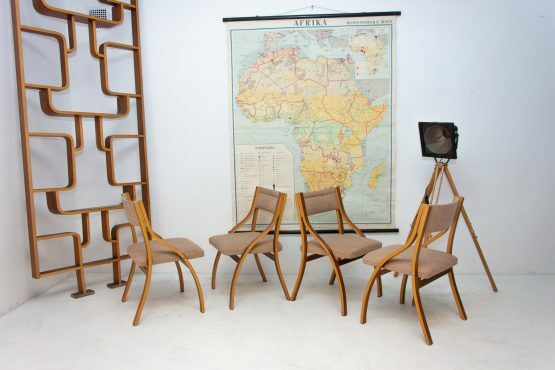 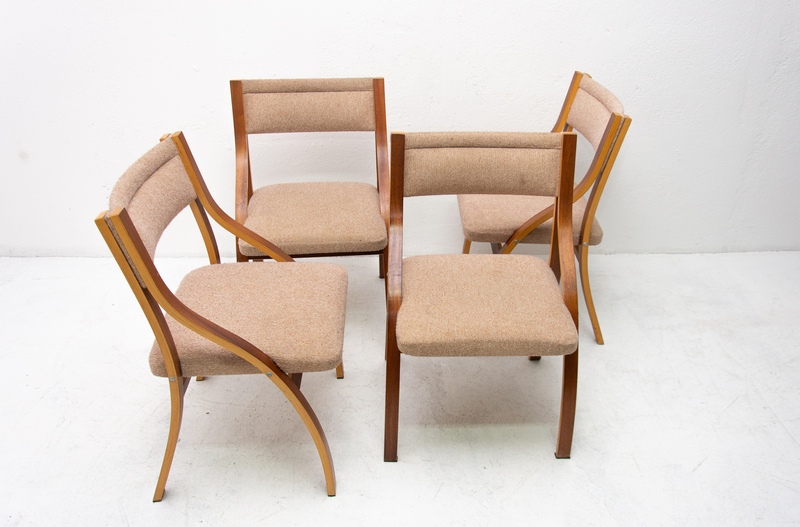 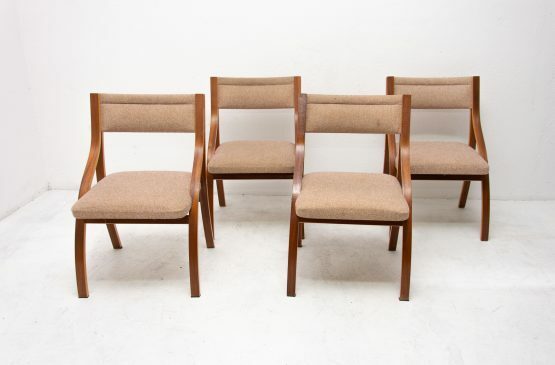 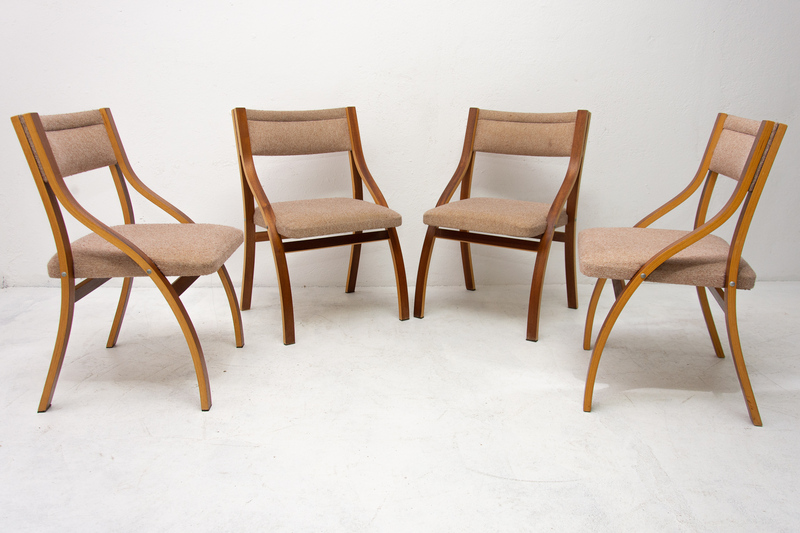 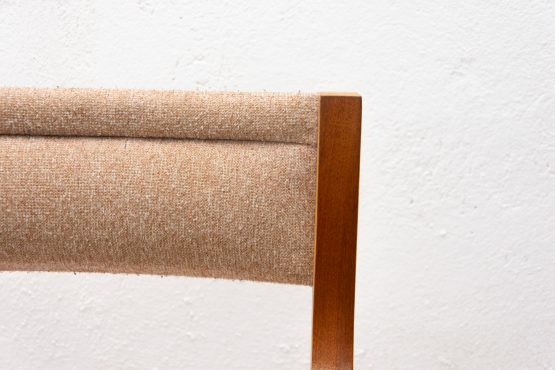 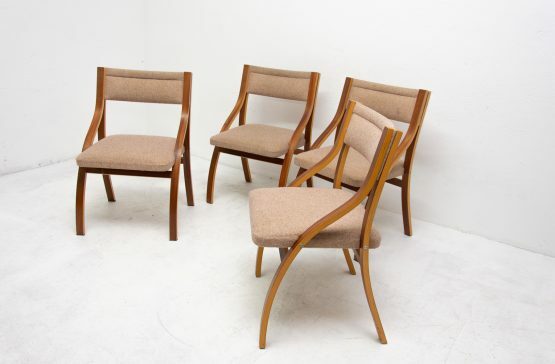 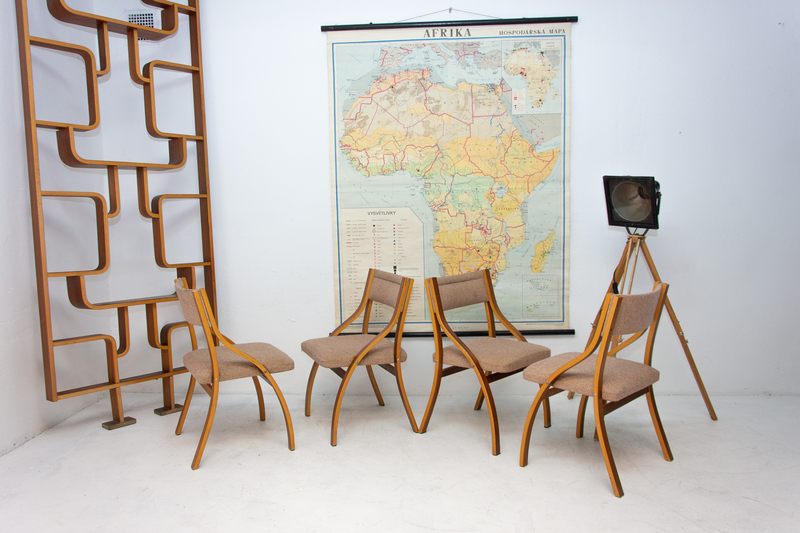 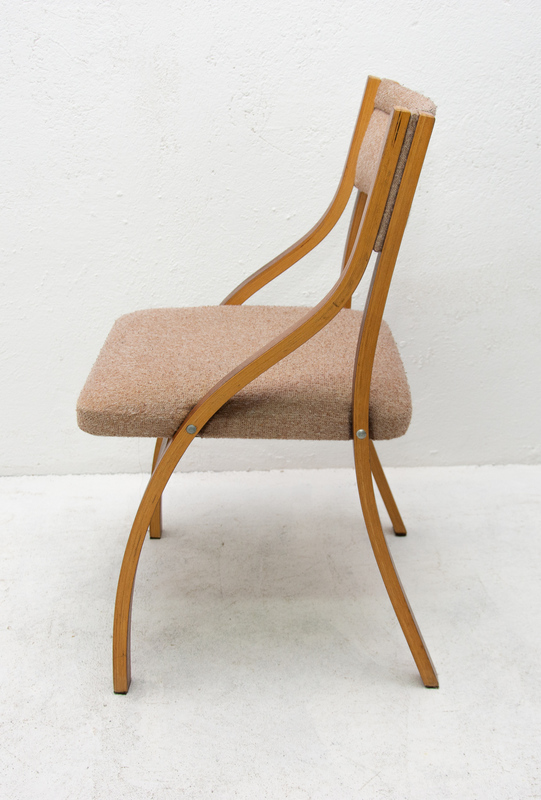 These lounge chairs were designed by Ludvík Volák for Dřevopodnik Holešov. 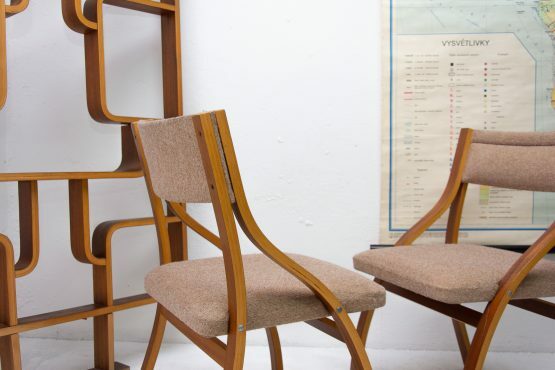 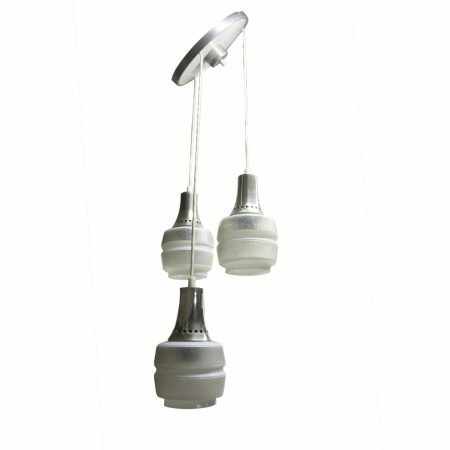 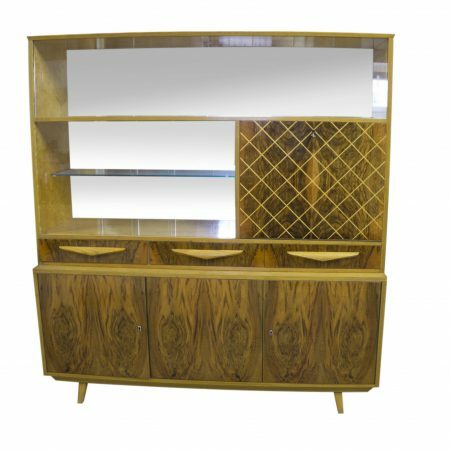 It was made in the former Czechoslovakia in the 1970´s. 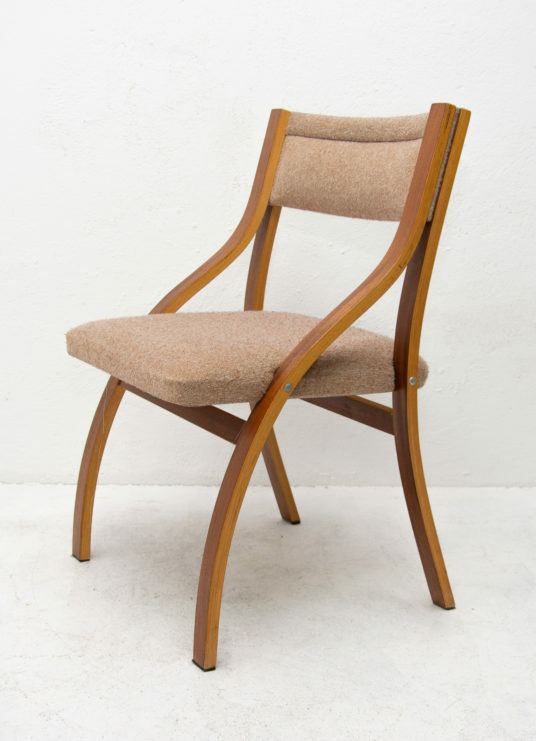 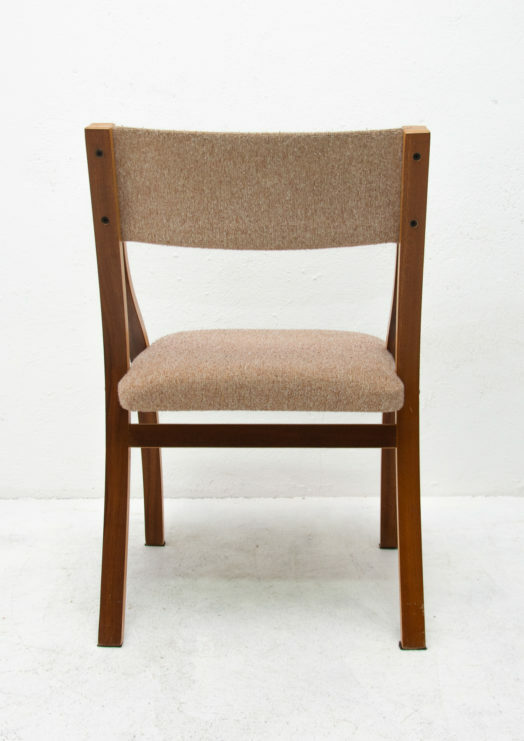 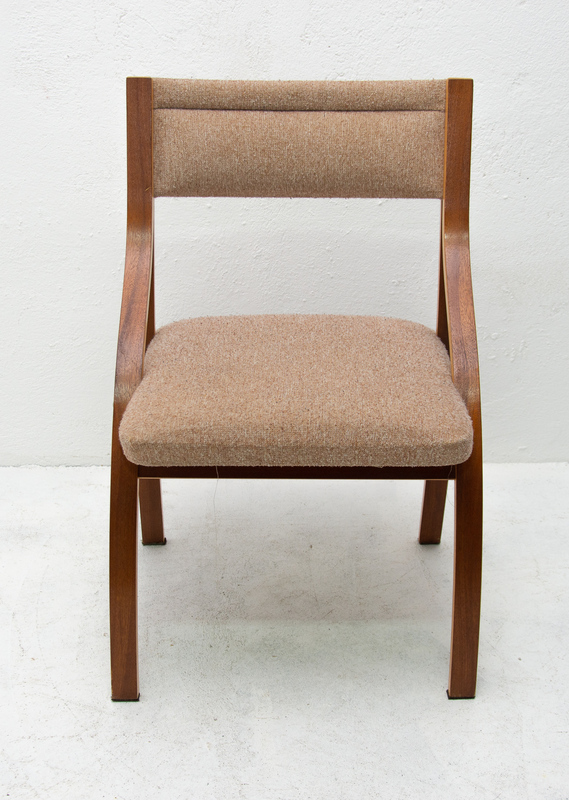 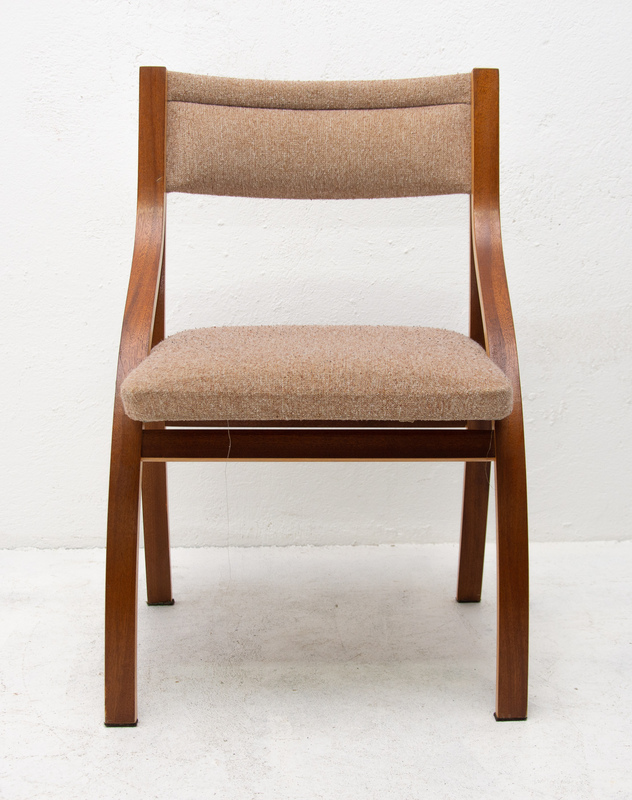 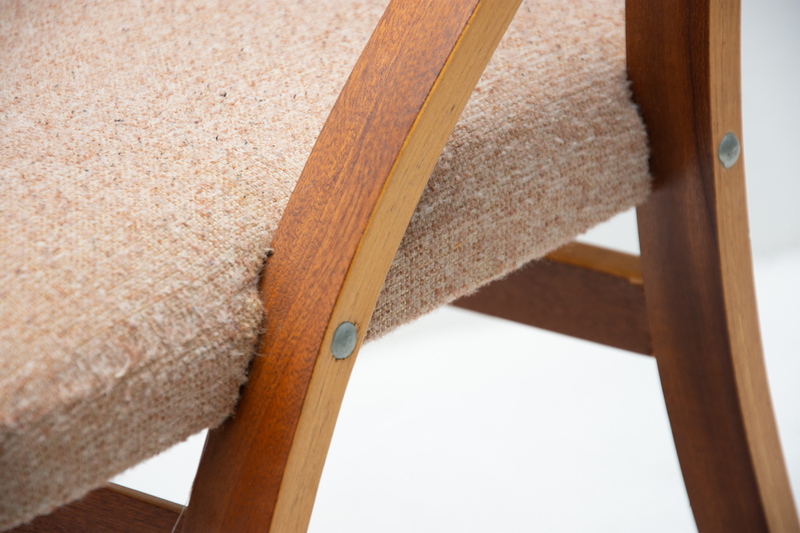 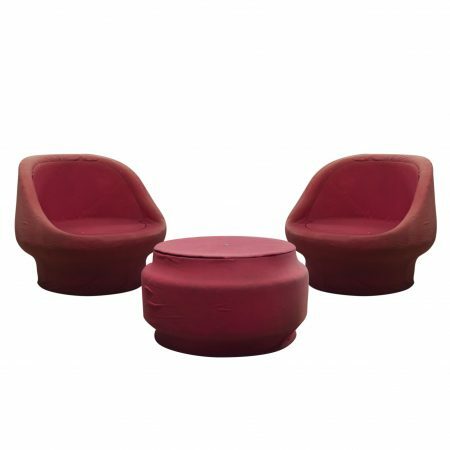 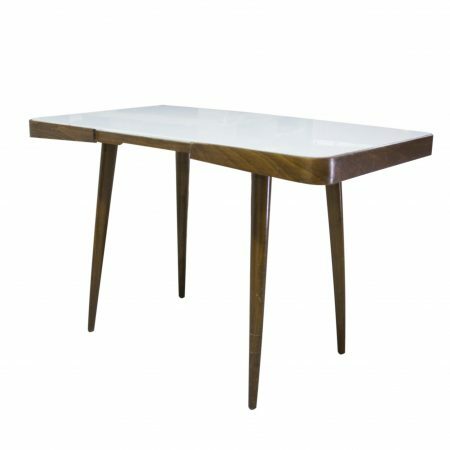 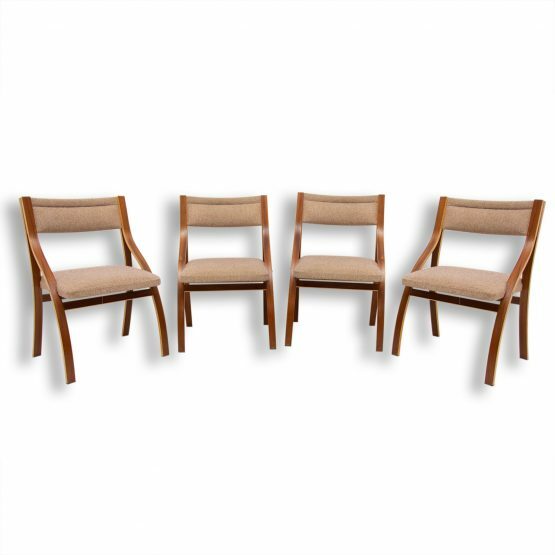 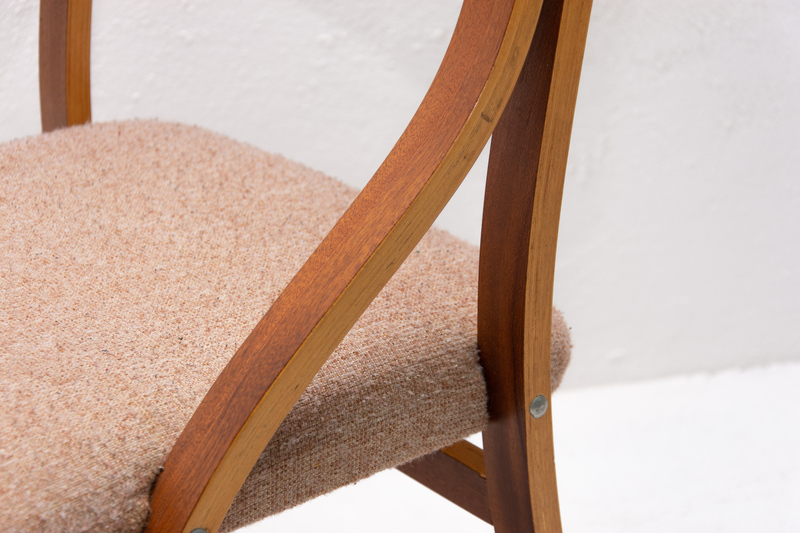 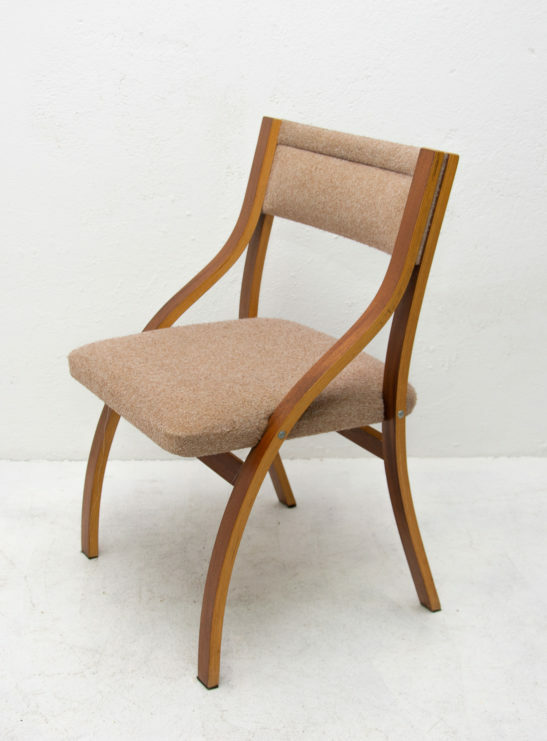 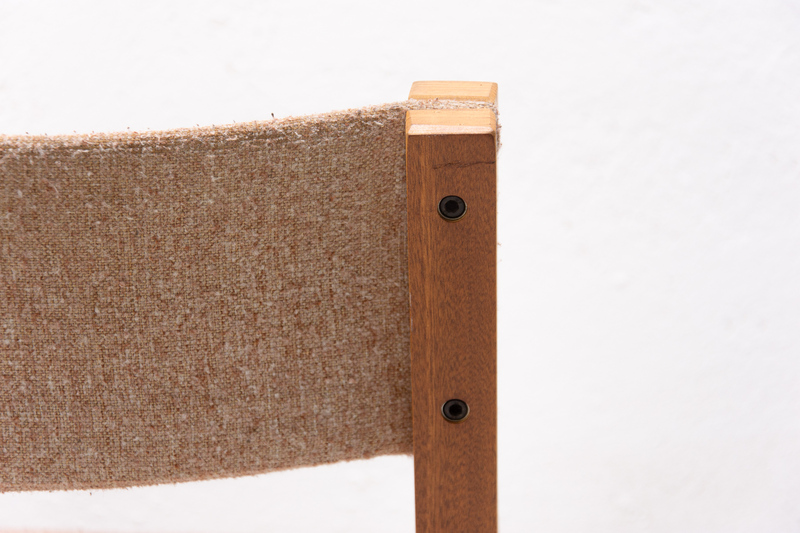 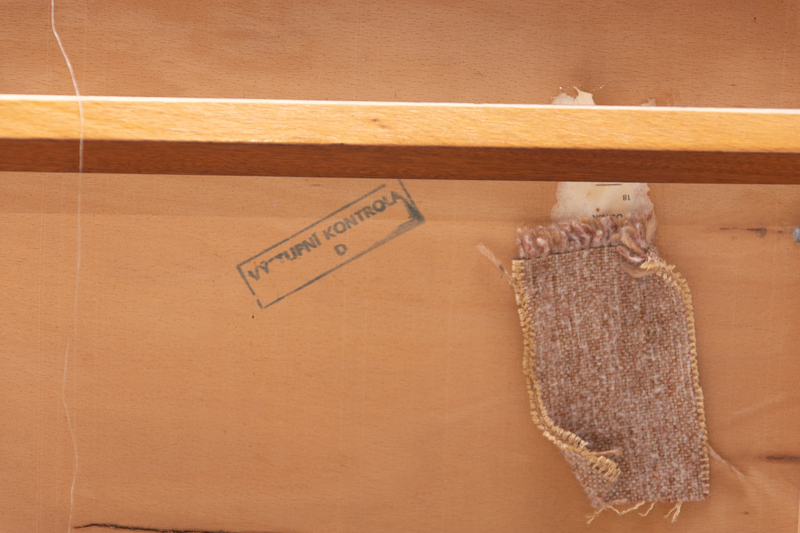 Features an upholstered seats and structure is made of mahogany bent plywood. 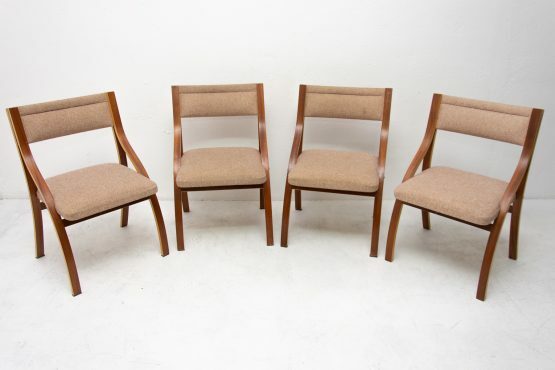 In very good original condition, bears minor signs of age and using. 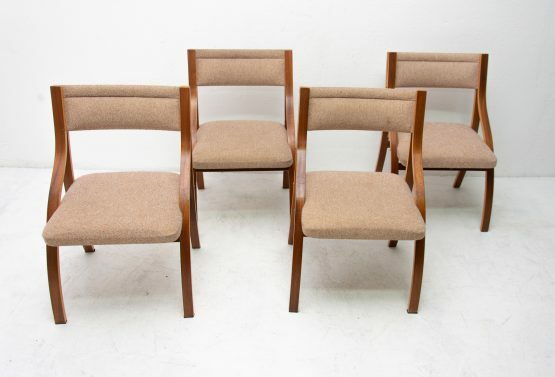 Price for the set.